Sasha is a third year Law/Commerce student at Monash. She is currently the Marketing Officer for ESSA, with her role primarily being running the social media pages. 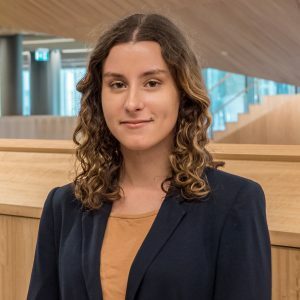 Ultimately, Sasha wants everyone in Monash to see how fun economics can be, and how approachable and friendly her club is. Though Sasha, having no economics (or commerce!) experience before uni, chose her commerce major mainly due to how hilarious Stephen King was in her first year micro lectures, she has come to love and appreciate the study in its own right, particularly how dynamic and applicable it is to everyday life. Most importantly, she enjoys being able to understand the news and having some idea of what inflation and interest rates actually are. In her spare time, Sasha maximises her utility by playing tennis and watching YouTube true-crime videos. She contributes to the GDP by consuming high amounts of tea and purchasing many bath bombs and candles.